At Fairview Animal Hospital, we tailor our deworming for cats based on several things. Such as their age, lifestyle (indoor vs, outdoors), and who is in your home (young children, immunosuppressed adults, elderly persons). Based on these factors we decide what the best deworming protocol is for your cat. What are some types of parasites found in cats? The more commonly seen parasites in cats are roundworm and tapeworm. If my cat has worms, what symptoms should I look for? You may notice loose stool, vomiting, increased appetite, or visualization of the worm, or egg segments. Are worms dangerous to humans? Some worms can be dangerous to humans. 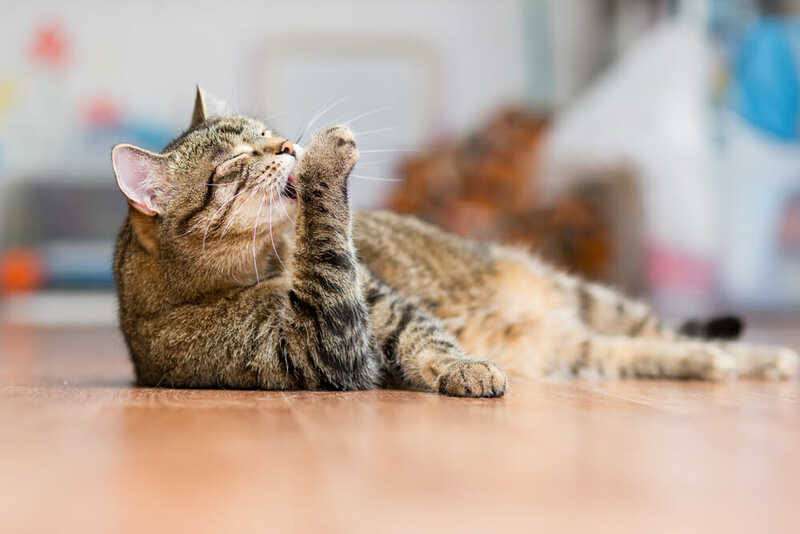 These parasites are considered zoonotic, which is why it is important for us to have a clear picture of who your cat will be sharing a home with to ensure both your cat and your family are protected. What is the deworming schedule? For kittens, the deworming schedule is to treat once every 2 weeks for a total of at least 4 treatments. After the initial kitten deworming, the schedule is individualized. Typically, we do deworm a minimum of 3 to 4 times yearly (once a season). If you’re unsure about your cat, speak with your veterinary team to find out what is the right deworming schedule. Are there any side effects from deworming medication? The most common side effect seen from deworming medication is an upset belly. Deworming can sometimes cause vomiting or diarrhea, although this is uncommon.